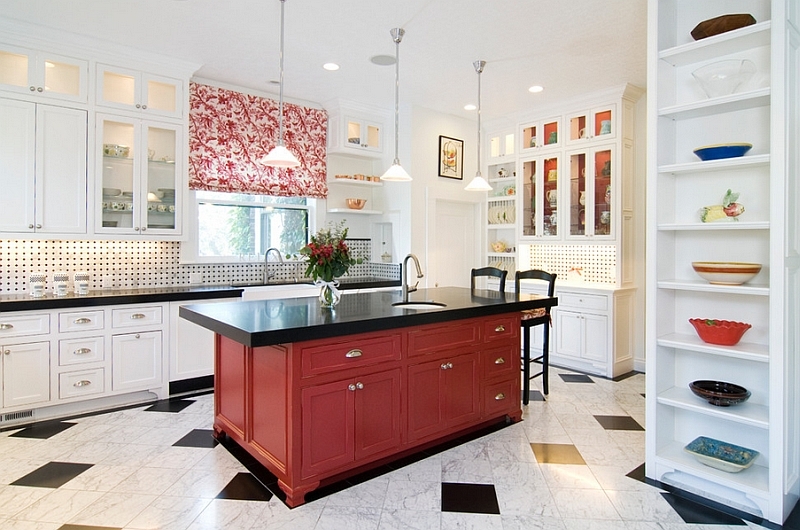 If you are looking for an exciting, vibrant yet classic color combination, look no further than the blend of black, red and white. 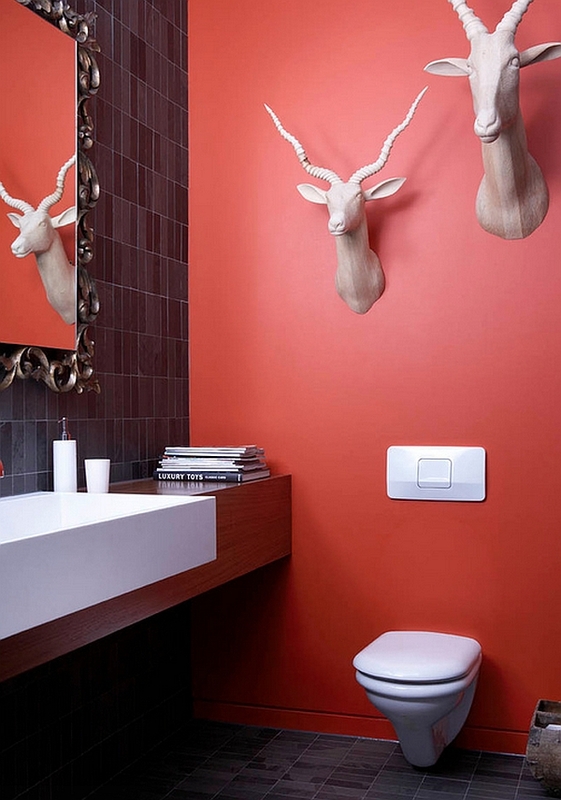 The trio makes an energetic and visually captivating statement while adapting to the theme that you already have going around your house. 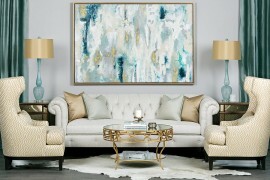 Unlike the timeless duo of blue and white that we showcased last week, this is a color palette that draws your attention instantly and needs to be used with care and restraint. 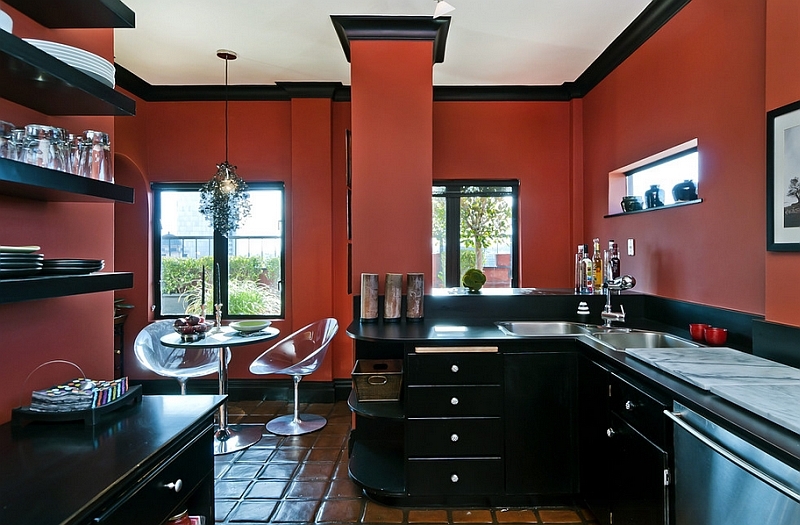 Balance and elegance are the keys to getting this glamorous color scheme spot on. 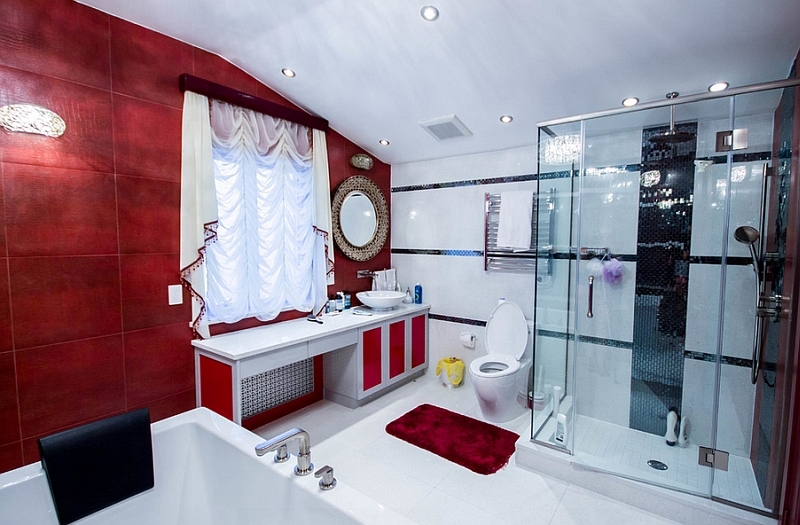 One of the fascinating things that you will notice as you browse through the many inspirations here is the way in which each color is used depending on the room that it adorns! 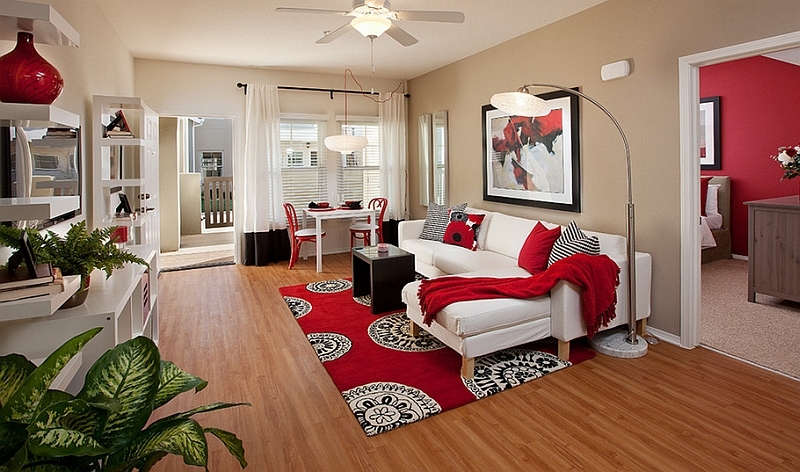 While some rooms demand an overload of red, others look much more pleasant when white takes over. 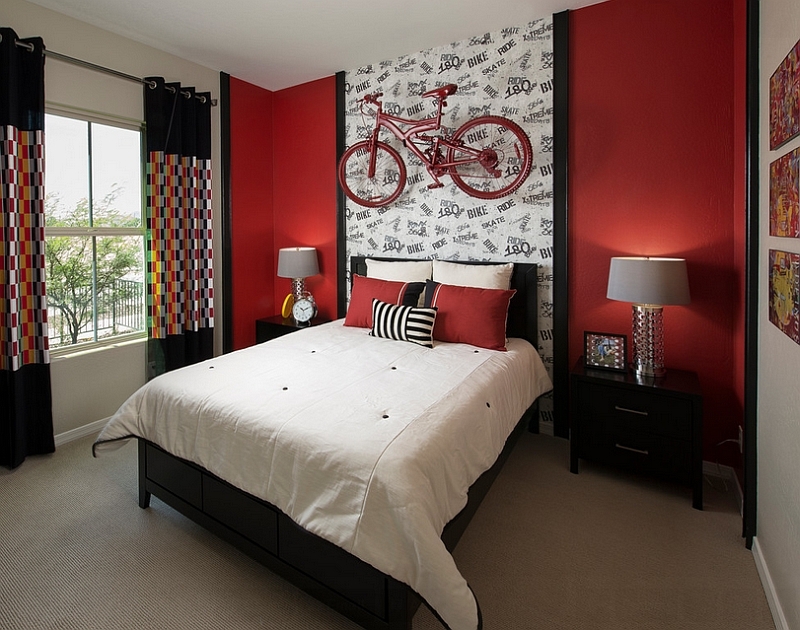 When decorating with red, black and white, different rooms of the house do require different strokes! 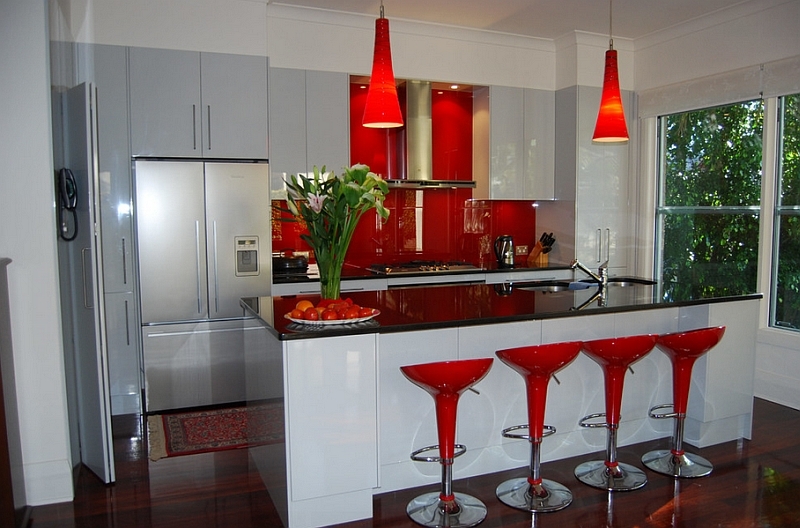 The black and red combination is all about turning up the volume in your house and turning heads as well! 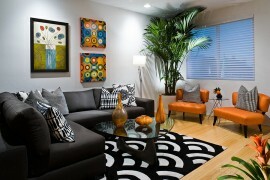 But when it comes to using these two hues in the living room, one needs to be extra careful about not going overboard. 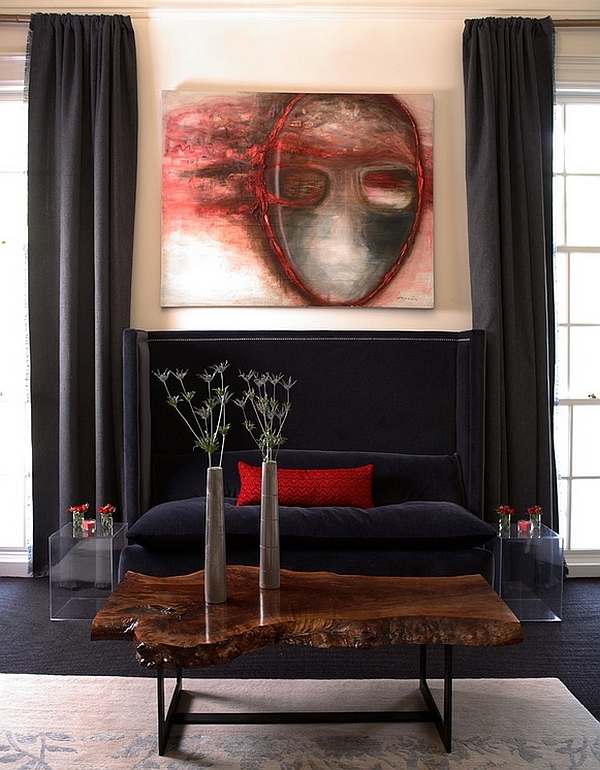 Both black and red are visually strong colors, and when using them in the public spaces of your home, less is indeed more! 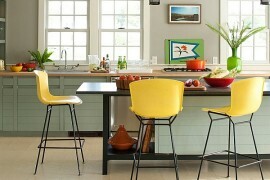 This does not mean you have to excessively cut back. 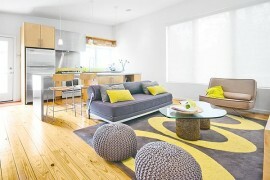 But letting white take over the backdrop is the best possible idea. 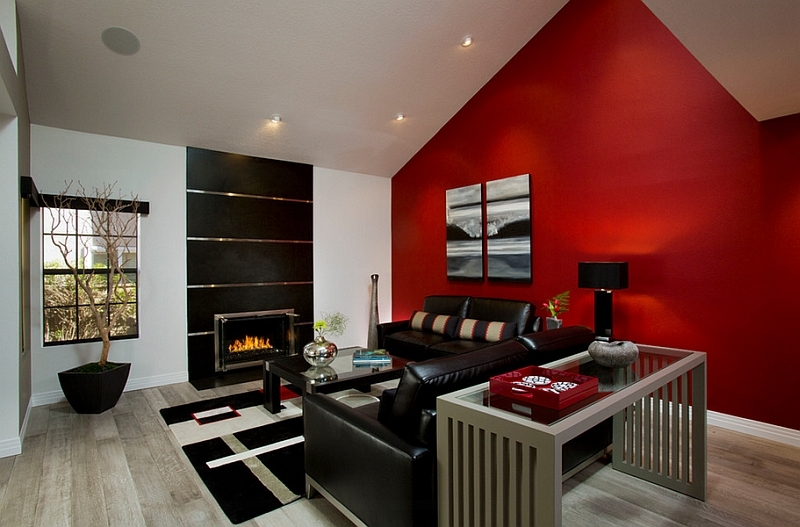 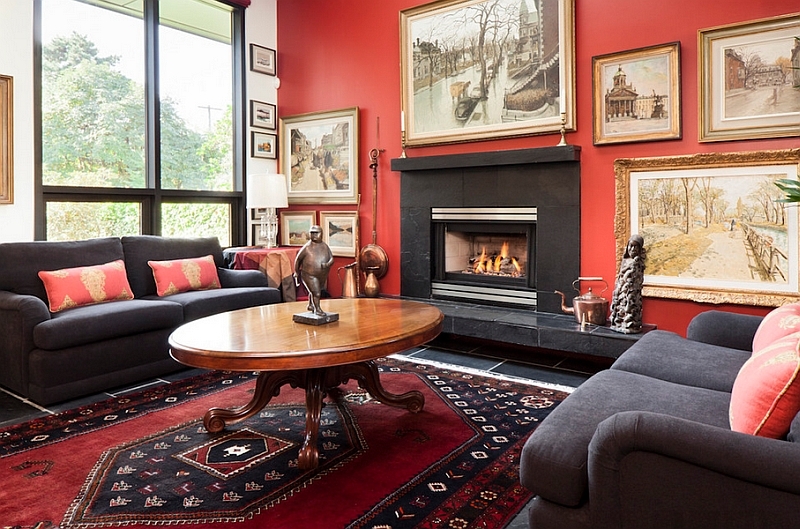 Imagine the living room as a painting canvas, and the more clear it is, the more prominent black and red seem! 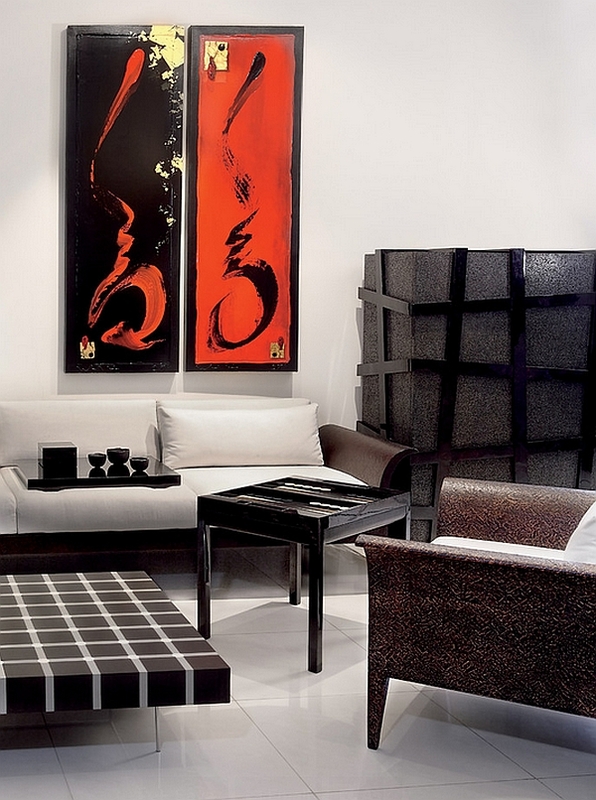 An all-white backdrop ensures that even the slightest pops of black and red stand out with ease. 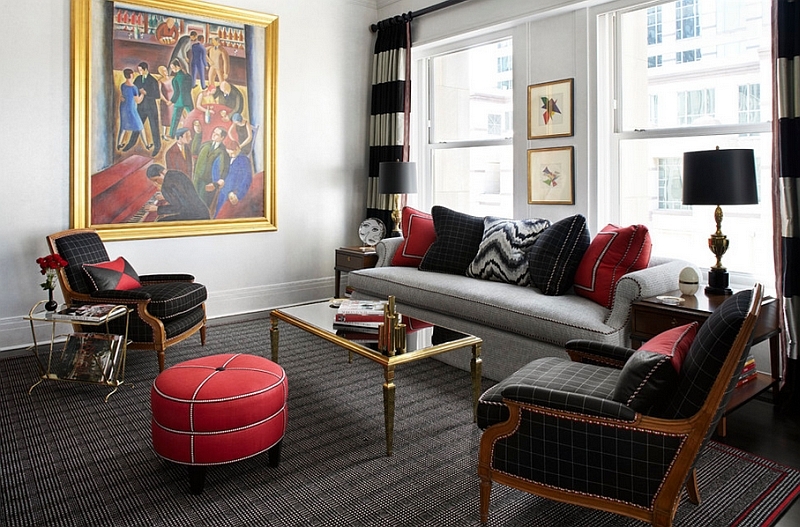 Of course, you can even take the opposite approach and opt for a dazzling living space only in black and red as white takes a backseat. 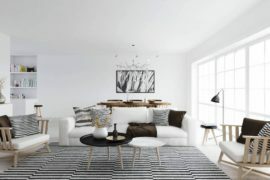 While this makes for a super-glam home, make sure that it is perfectly organized and the geometric symmetry of the room is spot on at all times. 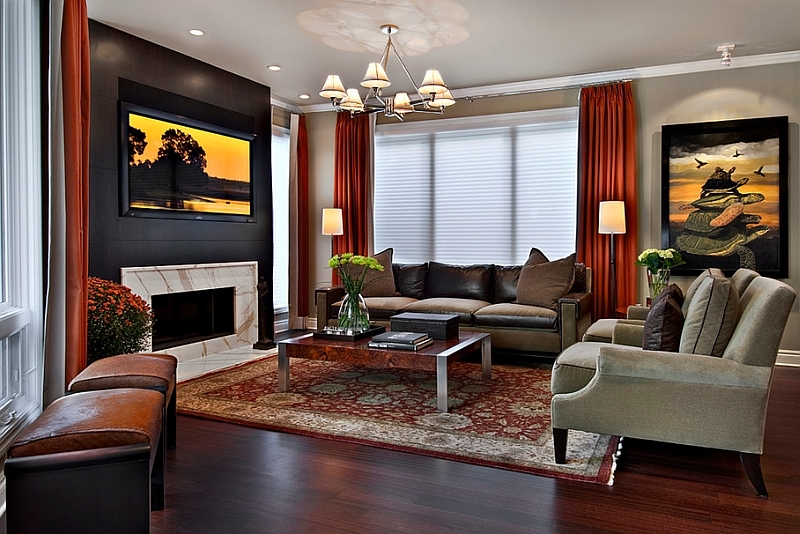 Otherwise, the entire room can seem dull and confined due to the overwhelming presence of these two dark shades. 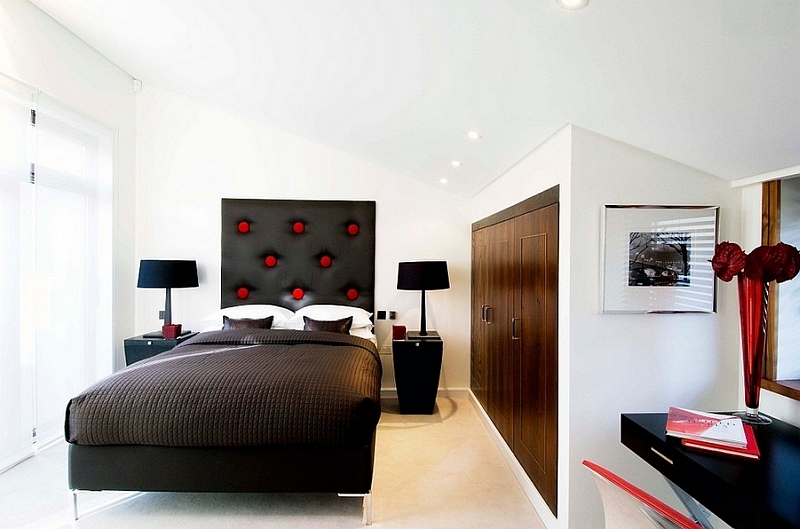 The allure of going with black and red along with white in the bedroom is obvious. 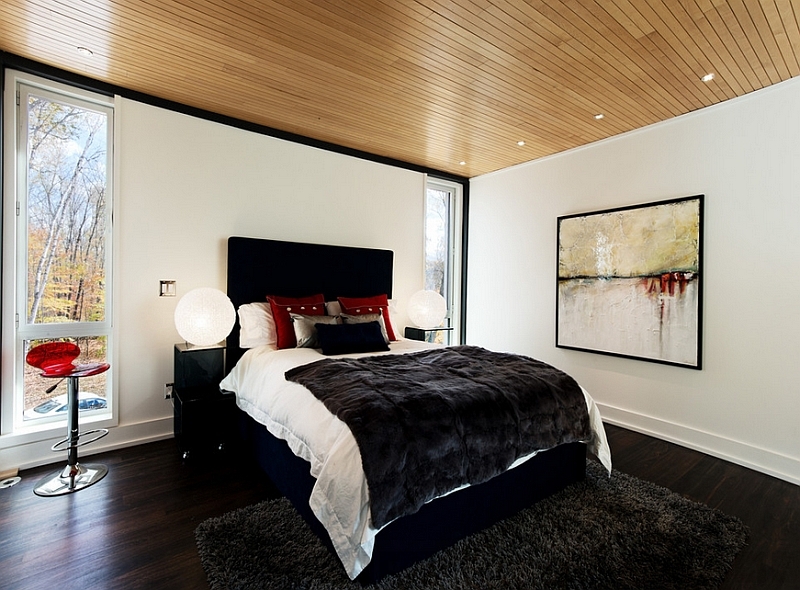 Combine this color palette with plush textiles and maybe a bit of fur, and you have a bedroom that is inspired by the golden era of Hollywood. 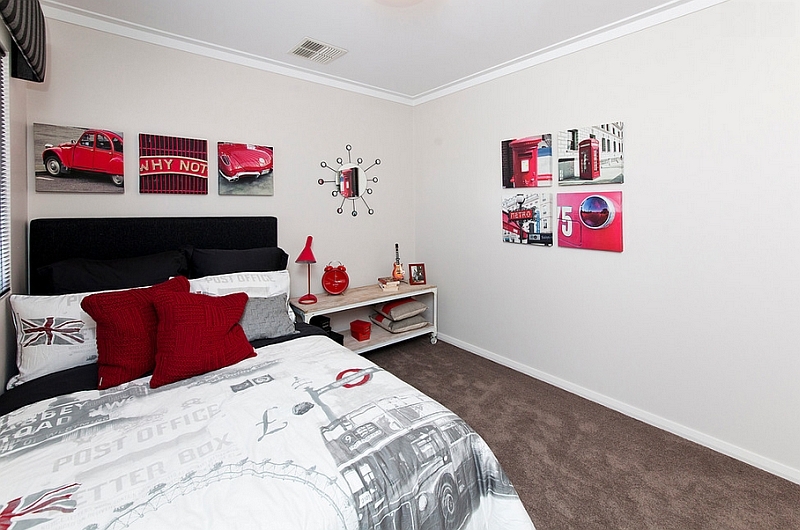 Yet other contemporary themes also seem to do well with a dash of red and black, and this is especially true in case of kids’ bedrooms. 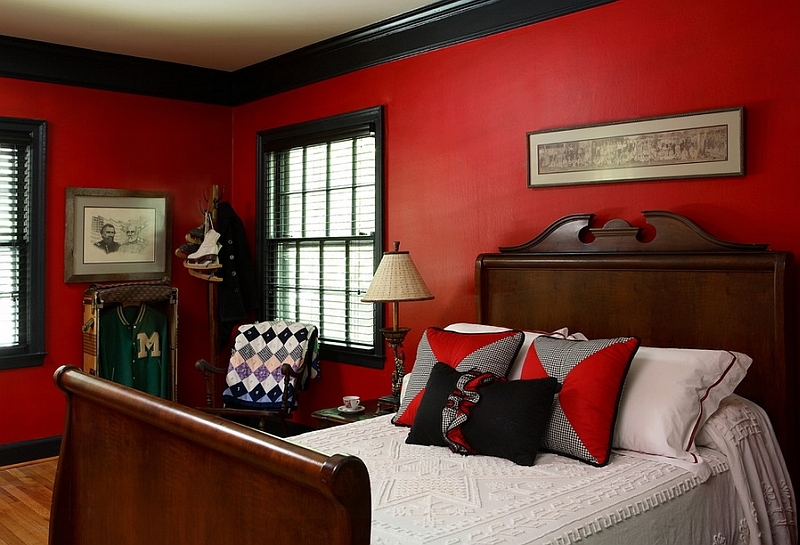 Since red is such an exciting and passionate shade, it is best not to use it in an extensive fashion even in the bedroom. 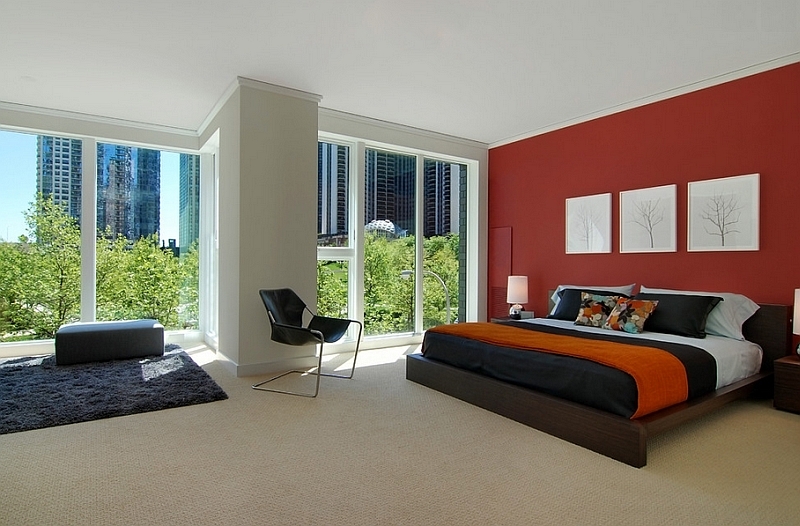 A few red throw pillows, maybe a red accent wall and some lampshades in black are an ideal way to enliven your bedroom without opting for major renovations. 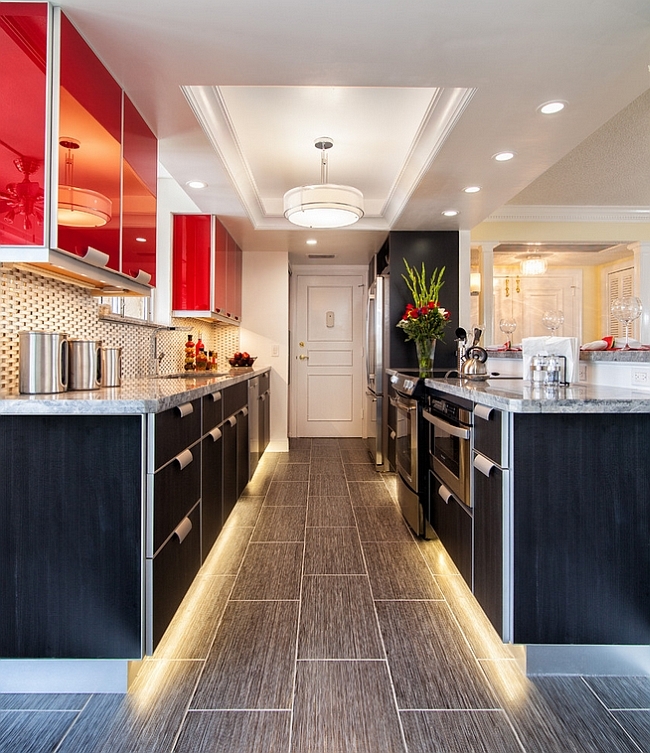 When using black and red in the kitchen, proper lighting becomes twice as important, and one needs the right balance between accent, ambient and focused illumination. 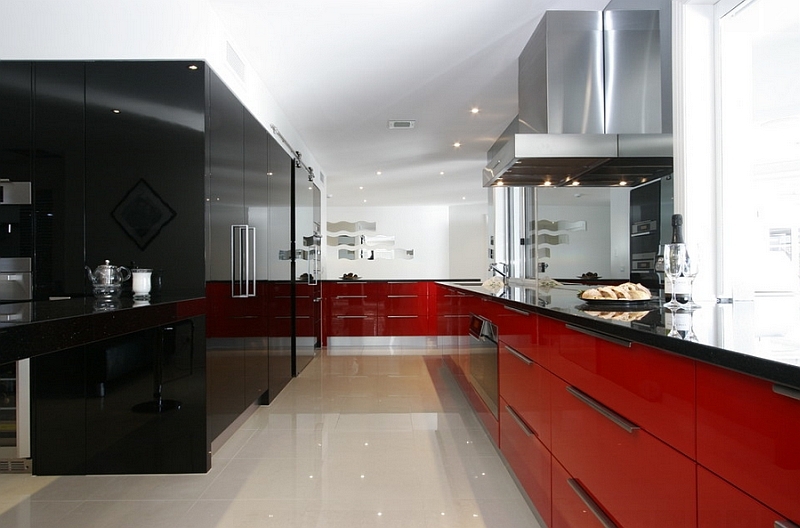 Since dark red and black already seem ‘deep and heavy’ from a visual perspective, poor lighting can turn your kitchen into a dingy and dull space. 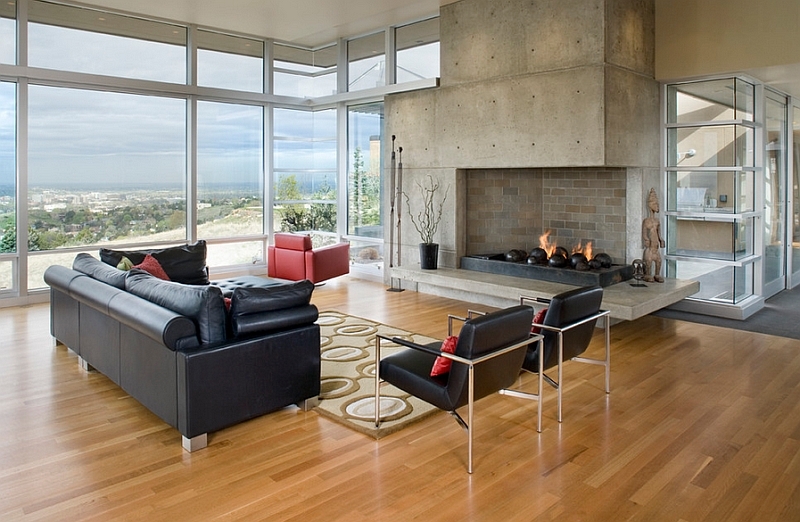 To avoid this, combine natural light with a flood of artificial illumination by employing several layers of lighting. 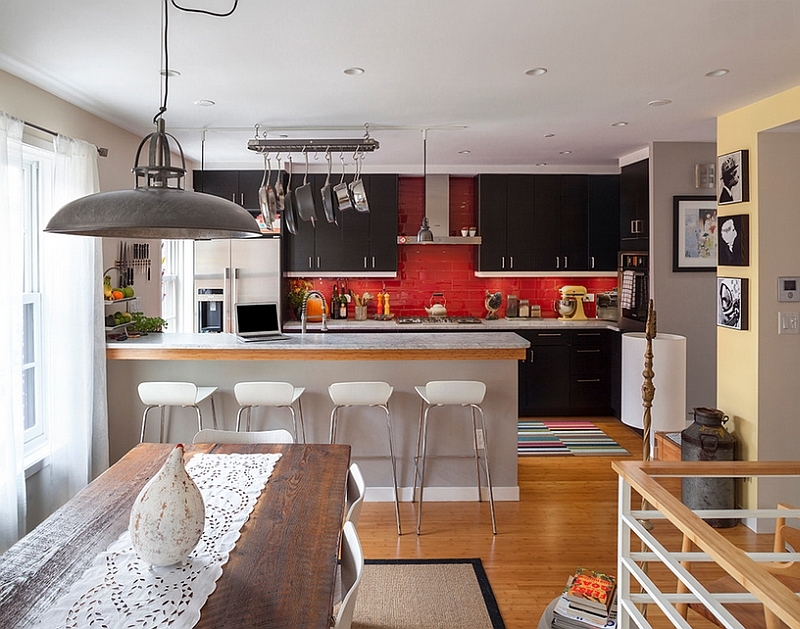 A kitchen is a space where you need a blend of aesthetic and functional lighting. 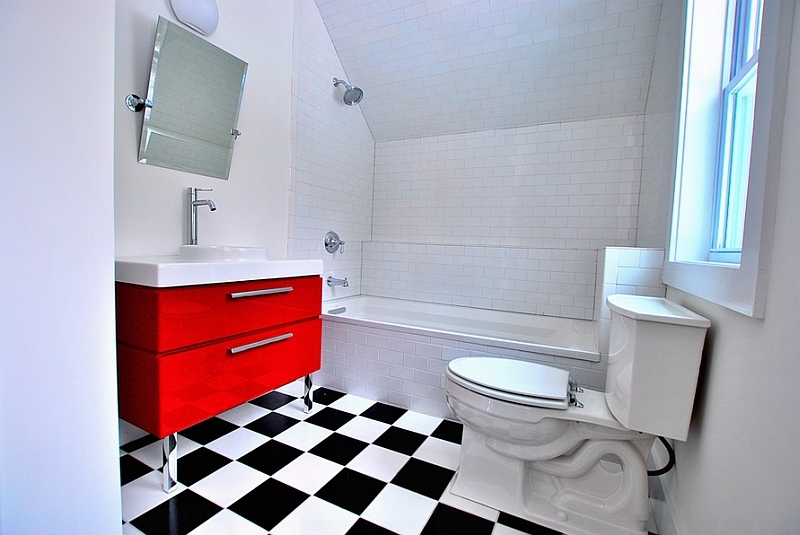 So make sure you do not ignore either of these aspects before embracing black, red and white. 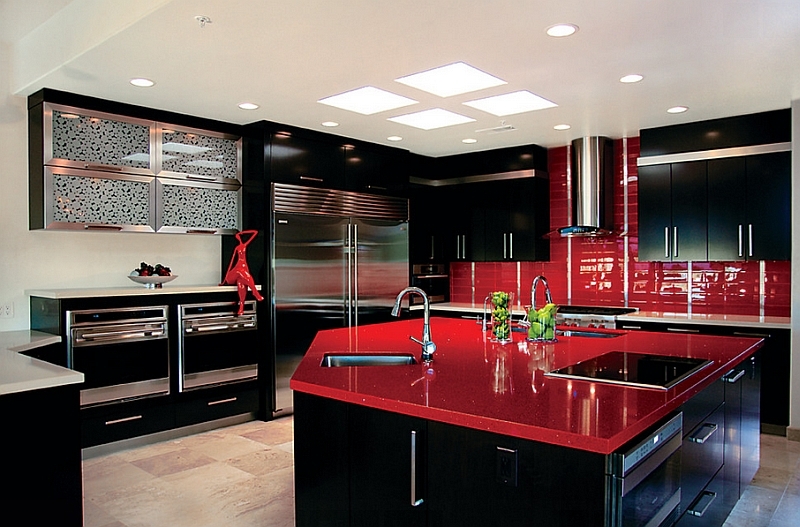 Contemporary kitchens with glossy black countertops and glittering red cabinets are incredibly popular and seem to be the preferred choice in most urban homes. 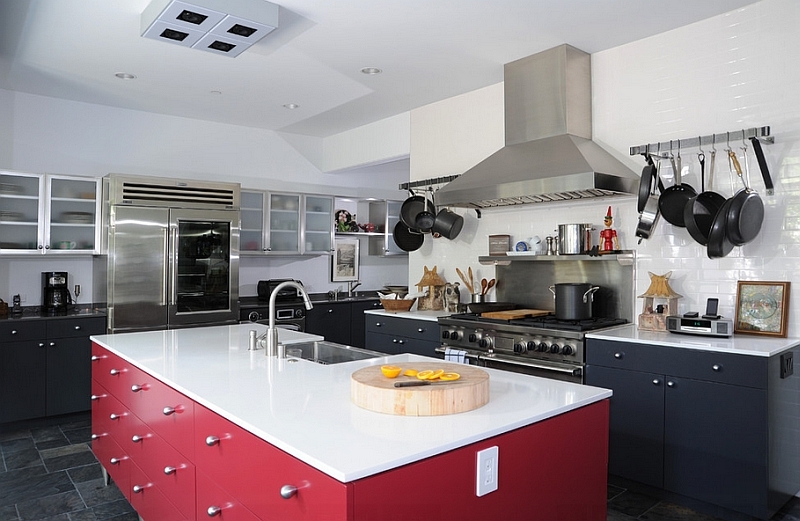 Red is also one of the most loved kitchen backsplash colors on the planet, and amazingly, both tof hese audacious shades seem to be right at home, even in small and narrow kitchens. 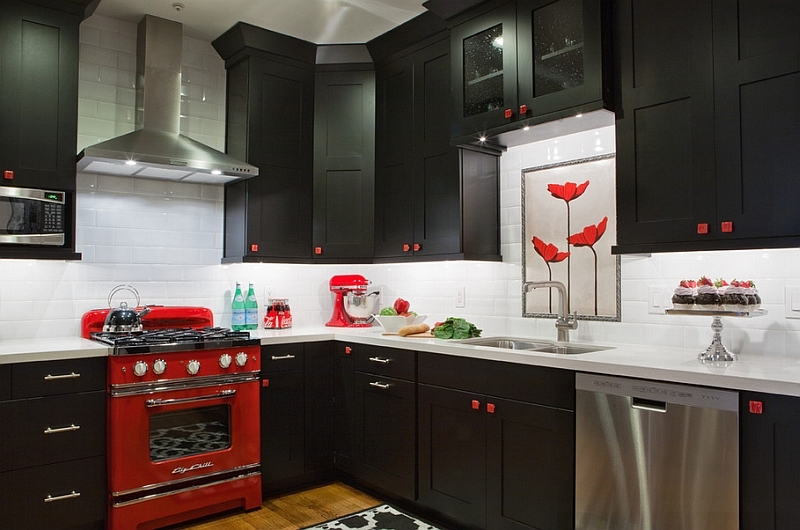 Combining with white in an effortless manner, red and black is a color duo that seems custom-made for the trendy modern kitchen! 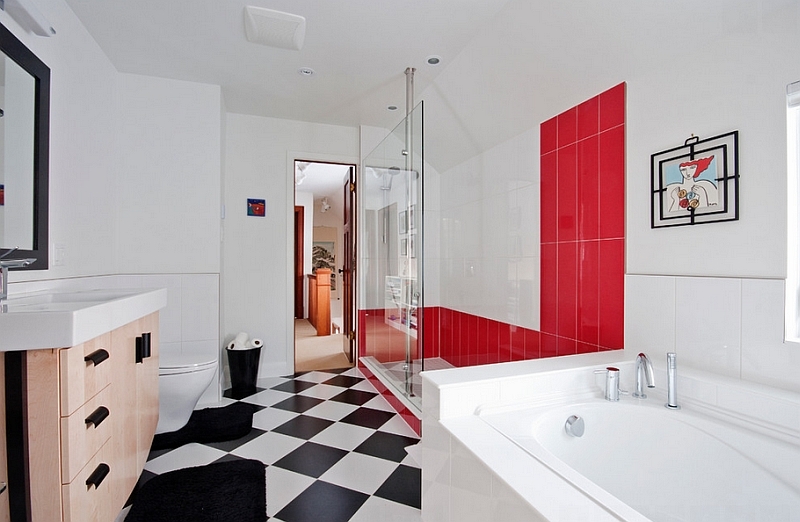 Unlike the kitchen and the bedroom, contemporary bathrooms are not all that open to the idea of being painted red and black. 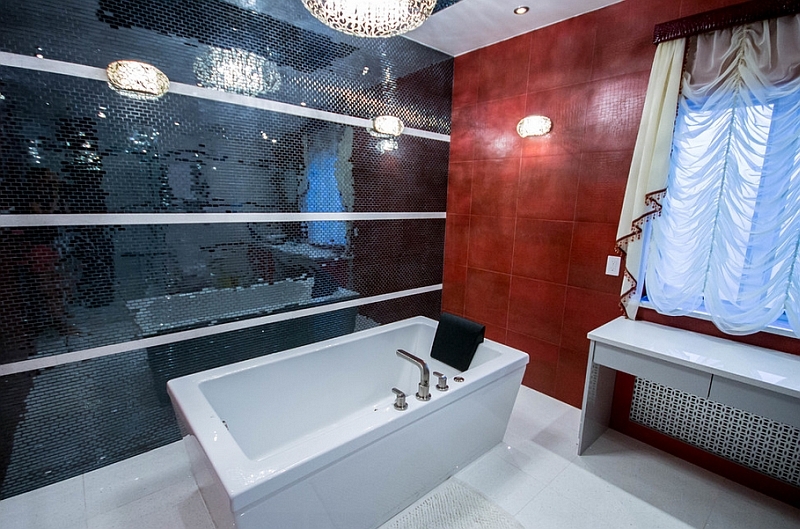 Most of us seem to prefer “colors of aqua” and white for a relaxing and soothing bathroom, and this has meant that red, black and white rarely make their way into the spa-like bath. 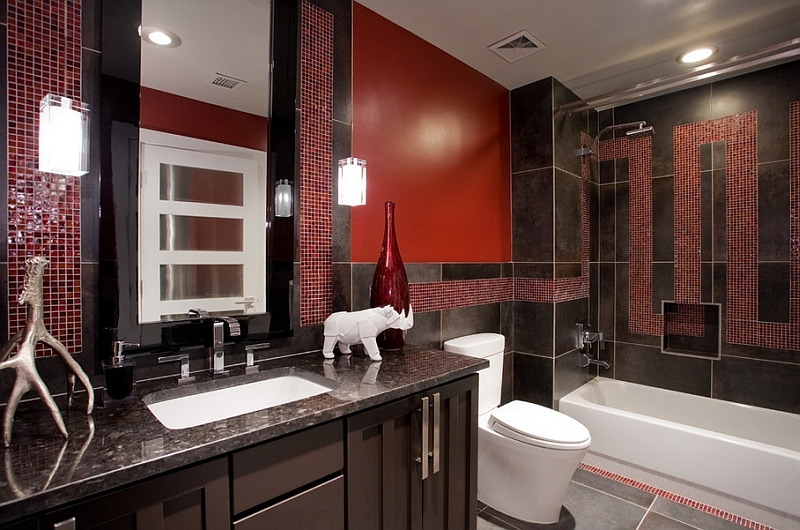 But that does not mean you can’t give this exciting color scheme a try this summer, and dashing porcelain tiles in red and black give you ample opportunity to try out a wide array of patterns and styles. 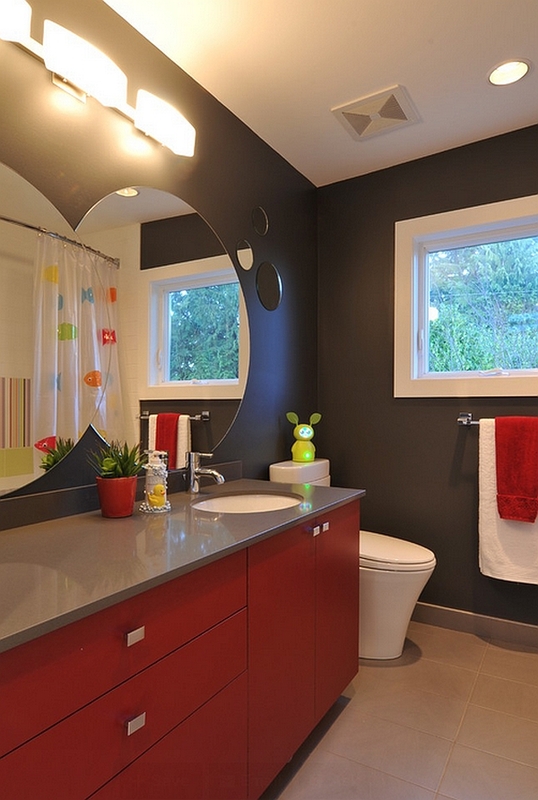 For those who are less adventurous, the best way to give this color palette a try is by using bold red accents in the black and white bathroom. 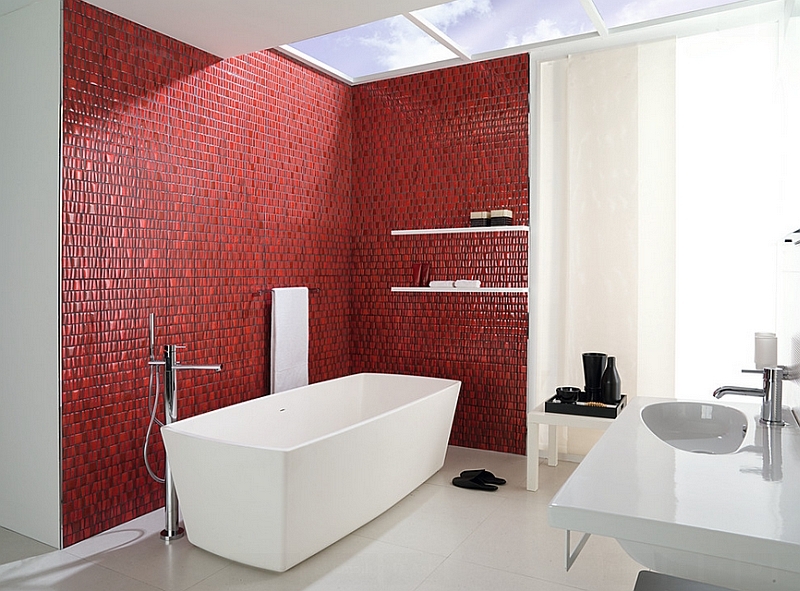 If you love the result, then you can commit to more permanent changes and maybe even give your glass shower area a revamped new look in red. 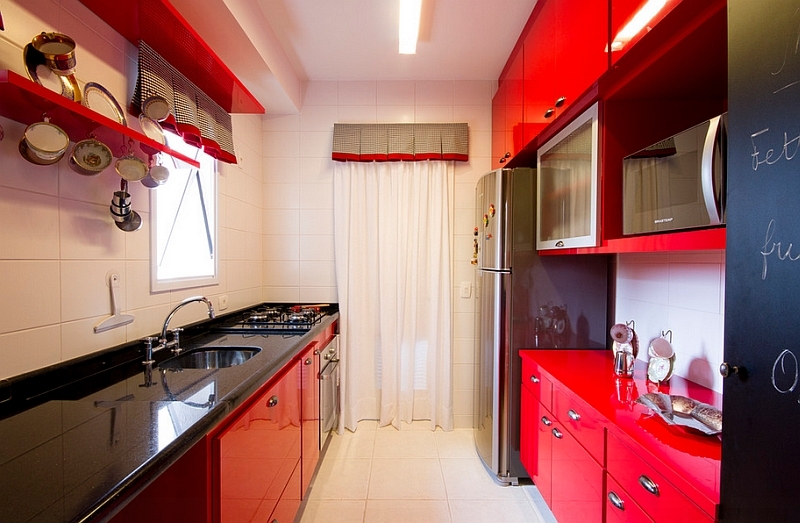 After all, the combination of red, black and white is for those who dare to venture beyond the obvious and the mundane… Are you one of those?